I would be fabricating if I told you I was surprised by this news when I read it on the Dream Defenders Twitter page. I've encountered this on many levels in my activism in the movement. However, I think it's an outrage that further shows why we're constantly having generational gaps and wars within our community. There's a difference between elders and old folks. We have many so-called leaders pretending like they want youth to take charge, but in truth they are just phony attention-hungry talkers with a stranglehold on a barely lit torch. They are no longer lit with the fire to truly serve or raise a cadre of young people who will take the movement to the next level. Most of them are loyal to a position and title versus being loyal to the longevity of the struggle that can only be carried forth by younger ones in the ranks. Their caught up in the organizational time warp of doing the same things over and over; being comfortable with old problems and fighting against new solutions that are in accord with the time. Who was at the forefront of the Civil Rights Movement? Youth. However, how many of our Black organizations today have a REAL solid youth and young adult leadership development wing that's producing potential replacements? You can probably count them on one hand. But you can probably count on multiple hands how many organizations are keeping the youth away from opportunities to rise up. Let's look at Exhibit A: The 50th Anniversary of the March on Washington events held on August 24th in Washington, DC. It was "organized" and "hosted" by a lot "Black leaders" who tend to shout about the need for youth to step up, but contradicted themselves. How so? 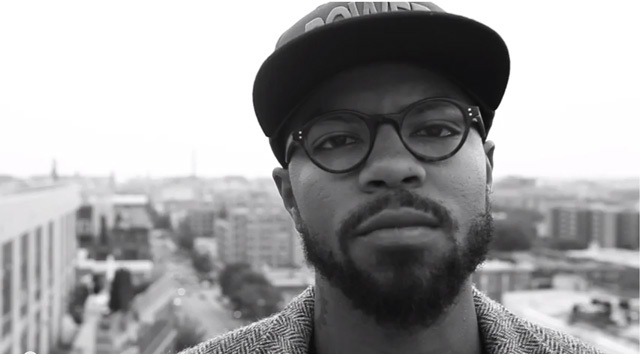 The director of Dream Defenders Phillip Agnew and the leader of United We Dream Sofia Campos were scheduled to represent the young generation at the commemorative events. Unfortunately at the last minute, they were cut from the speaking lineup and told that there was not "enough time" for them to speak. Agnew said he only needed "two minutes," but he still was denied. They couldn't spare 120 seconds for the youth? 120 seconds? Yet, plenty of time was granted to people echoing the same old rhetoric we've heard for decades. Some of the speakers even had the audacity to challenge the youth while at the same time brushing them to the side. I admire how the Dream Defenders are not giving the "old heads" a pass. "Our generation's dreams have been deferred too long. We don't need a mic. The time is NOW," they've tweeted. And they even released the speech that Agnew was supposed to deliver. The group put out the call, "We ask that YOU record your own video with hashtag #OurMarch - what did the 50th anniversary of the March on Washington mean to you? Why do you march every day? For who? Use #OurMarch along with #MarchOn and #MOW50. Tweet your responses. Let's have our own conversation." What's the blessing in all of this? The Dream Defenders and all other aspiring young servants of the people got a CLEAR picture and message of who and what you're dealing with. You're dealing with people who are bought, controlled and could really careless how many nights the Dream Defenders camped out at the Florida capitol. Why? Because for many of them its only about media soundbites, photo ops, corporate sponsorship for their groups and supporting any and all things depending on how the money, ahem, the wind blows. All of this happening only makes me appreciate even more being a follower and student of the Honorable Minister Louis Farrakhan, who was NOT invited to the 50th anniversary events. However, he is the man who has been raising up cadres of young people. “You want to accept the torch and you want to reignite it, then by the grace of God, I want to give you a torch, you won't have to ignite it, it will already be ignited. All you have to do is use it to light your way out of this continuous cycle of non-productivity of our people,” he said during a talk last year at UC Berkeley. 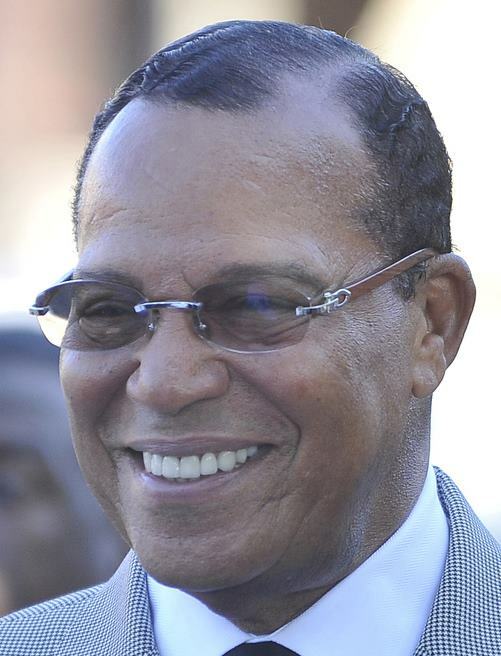 While others charge tens of thousands of dollars to speak to college students, Minister Farrakhan pays his own way and even gave away an honorarium in the form of scholarships at PVAMU. During a historic youth leadership meeting in Philly he outlined the "Principles and Practices of Leadership" that is still being studied and applied by student leaders. Every week during the Nation of Islam's Sunday international broadcast from our headquarters in Chicago, Minister Farrakhan enjoys seeing youth and young adults speaking. Matter of fact, Nation of Islam college students in Houston recently organized and led the entire TrYOUth Summit in early August. There is so much more I could add regarding what Minister Farrakhan has done for youth within his 57 plus years of service. However, he is not one to rest on what he did yesterday. So at the upcoming celebration of the 18th anniversary of the Million Man March in Tuskegee, Alabama, Minister Farrakhan is convening a HBCU Leadership Conference for college students on Oct. 19. And he would be honored to have the Dream Defenders present. Interestingly, many of the same leaders who spoke at the March on Washington commemoration this past weekend were not blocked from speaking at the Million Man March led by Minister Farrakhan in 1995. Even though most of them did NOTHING to help get those nearly two million men there. Who is the REAL leader and servant of the people? Who can the youth really look to for real guidance and encouragement? So I say to the Dream Defenders and Phillip Agnew: Because of his strong stance on certain issues back then, if Dr. King was here today, he more than likely would not have been allowed to speak. And Minister Farrakhan was clearly not wanted. That's what happens when you go against the norm. It's not for the weak-hearted. So you all are in good company. The Mission is More Important Than The Mic!